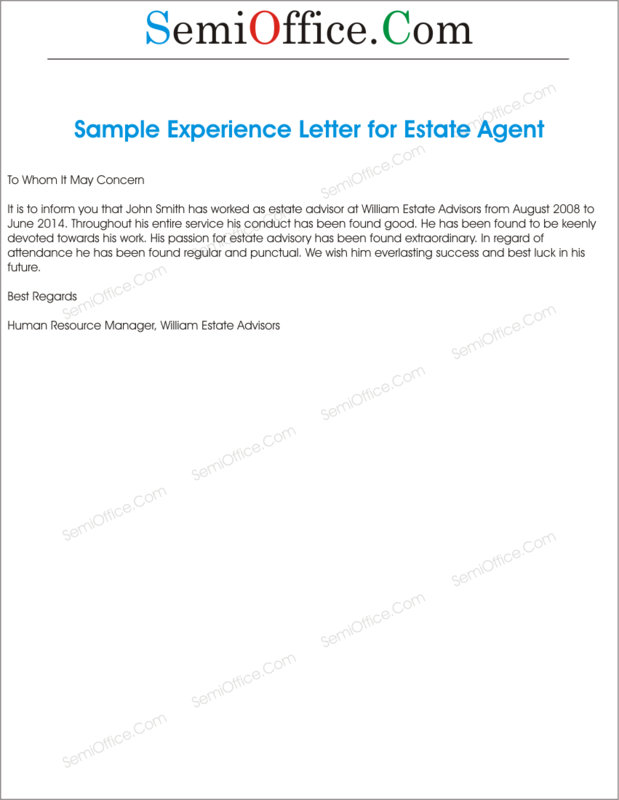 Sample of Work experience certificate and Experience letter for real estate company, agency for verifying the work experience and good conduct of the estate agent, estate adviser, real estate manager from estate agency or employer. 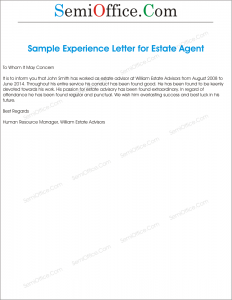 It is to inform you that John Smith has worked as estate adviser at William Estate Advisers from August 2008 to June 2014. Throughout his entire service his conduct has been found good. He has been found to be keenly devoted towards his work. His passion for estate advisory has been found extraordinary. In regard of attendance he has been found regular and punctual. We wish him everlasting success and best of luck in his future. We recommend him for job further in real estate department as he owns the real estate projects at work and finishes the task timely with full dedication.